Education service exports ranked 6th among service exports in 2017. International students studying in the United States contributed over $43.1 billion to the U.S. economy in tuition and living expenses during the 2017 calendar year, for a trade surplus of $35.2 billion. The total number of foreign students increased 3.4 percent in 2016/2017, with an international student population of over 1 million students. 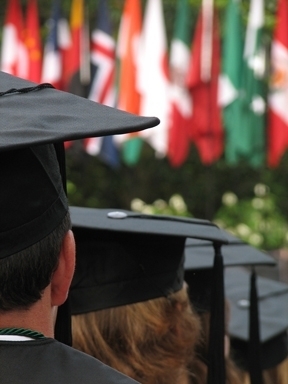 About 67 percent of students studying in the United States use outside sources to fund their international study and supported over 450,000 U.S. jobs, making Education and Training Services a valuable U.S. export. The Institute of International Education’s Open Doors® 2017 reports that active recruitment, links with international universities, academic programs targeted to international students, and dual degree programs are all factors that increase the enrollment of international students, with active recruitment being reported as the most effective strategy. 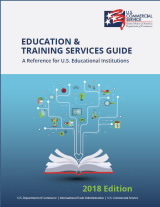 This 2018 U.S. Commercial Service Education and Training Services Resource Guide includes comparable and individual market assessments of countries listed as best prospects for U.S. training and educational services. The country assessments are based on observations and market research reports created by the U.S. Commercial Service. For additional information or market research, including Country Commercial Guides and industry reports, please visit export.gov. Download the full guide, or use the country list below to find information on the education market(s) that your company is targeting.